Our Advanced Ayurvedic Detox Kit is a continuation of the Basic Detox Kit, with a few extra Ayurvedic essentials and larger sizes of many of the products. This advanced cleansing kit has been created to remove the deep rooted toxins that a dietary cleanse alone will not be able to reach. 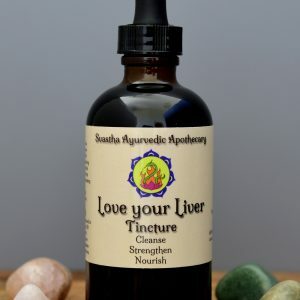 These traditional remedies provide powerful systemic detoxification, containing the most potent blood, liver and colon cleansers Ayurveda has to offer. This is a complete kit for up to a seven day cleanse, plus extra for the “pre” and “post” cleansing periods. 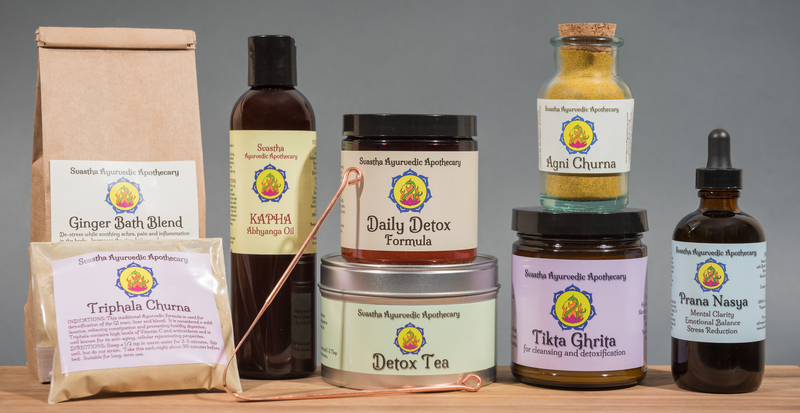 **The Advanced Ayurvedic Detox Kit has been designed to compliment a dietary cleanse such as a Kitchari cleanse. 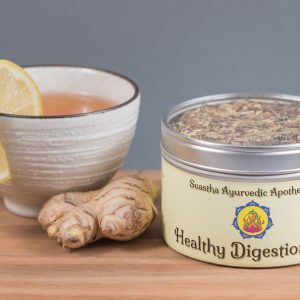 This specially made herbal formula is comprised of the most potent cleansing herbs available in Ayurveda. Formulated to remove toxins, cleanse the blood and liver, increase the digestion and boost the metabolism. This formula is great for Candida overgrowth and other parasitical infections as well. Read more on our Daily Detox Formula here. This powerful medicated ghee is a standard component to any Ayurvedic cleanse. It is formulated to remove deep-rooted toxins in the liver, blood, pancreas and GI tract. Tikta Ghrita has been well known to reduce inflammation in the system, improve the complexion, treat skin issues, balance the hormones and increase the digestive fire. This is a crucial part of any Detox program! Read more on Tikta Ghrita here. This traditional formula is a panacea in terms of cleansing the GI tract, strengthening and detoxing the liver, ridding toxic build-up, promoting healthy elimination and enhancing cellular rejuvenation. Click here to read more on Triphala Churna. This Detox blend is a powerful herbal tea that is quite beneficial during times of cleansing and detoxification. Detox tea has been formulated to removes toxins from the liver, blood and GI tract, while increasing digestion and promoting elimination. Read more on our Detox Tea here. Daily self-massage is a mandatory addition to an Ayurvedic cleanse. This powerful herb-infused oil is a cleansing and stimulating blend that will help to “loosen” deep-rooted toxins, so they can be readily flushed from the system. This medicated oil is also used to nourish and strengthen the Nervous System, helping to balance the mind and emotions during the cleanse. Choose from the Vata, Pitta and Kapha blends available. Sweating is a major component of an Ayurvedic cleanse. This powerful bath blend is formulated to induce sweating and detox the body. The Ginger Bath Blend will remove deep rooted toxins from the body, reduce inflammation, relieve pain and soreness and increase the overall circulation. Read more on our Ginger Bath Blend here. Agni is the Ayurvedic term for the digestive fire. Agni Churna is a traditional spice blend used to increase the digestion, remove toxins and promote the absorption of nutrients. This essential spice blend is perfect to add to your Kitchari cleansing diet, as it will add a delicious taste while increasing the cleansing and healing benefits of the meal. Read more on our Agni Churna here. Nasya is one of the five major cleansing therapies of Pancha Karma. It is said to alleviate any residual dosha in the system that the other therapies may leave behind. Nasya is also a gateway to the mind and will provide some much needed mental detoxification during a cleanse which can often bring up many repressed emotions. Prana Nasya is a specific formula to aid in emotional balance, mental clarity and rejuvenation of the mind. Read more on our Prana Nasya here. 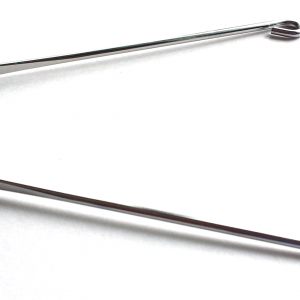 Tongue scraping is an essential part of any Ayurvedic cleanse and healthy Ayurvedic routine. This simple practice will help you remove toxins from the system while awakening the vital organs and stimulating digestion. Read more on the Copper Tongue Scraper here. This kit is not recommended for individuals under the age of 16 or over the age of 60. 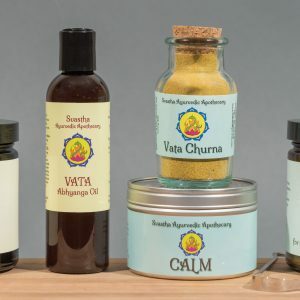 It is not recommended to do an Ayurvedic cleanse during menstruation, pregnancy, postpartum, breastfeeding, weakness, depletion or a strong Vata imbalance in the system. Cleanses can be very powerful and should only be performed 1-2 times per year, preferably during the transitional seasons of Fall or Spring.